As always it's a pleasure to write to write to you for yet another wonderful contest. Tpot would like to invite you all to participate in our contest no. 23. I would like to thank you all for your continuous participation in the Tpot Contests and making it blockbuster across Steemit. Keep sending your entries and spreading the word and of course the beauty out there... You all are simply amazing. Did you know Tpot provides a Free Upvote Service via Discord? Please consider us for Delegations/Donations to help the initiative. Here are a few entries that we shortlisted and thought was quite funny. Congratulations! All the rewards will be transferred to you soon after this post is published. Please check your Bitshares Account. The theme of this week contest is once again "Greenery". Post any Plant(s), Tree(s), Grass, Garden, Forest Pictures that is GREEN. Make sure the picture looks Greener. Posting Flowers are not considered as valid entry. Be innovative with your images, you can post more than one image in a single post. The Greener it looks the higher are the chances to win. Pay attention to the following rules. Any of the "rule not followed" may disqualify you from the contest. Title of the post should contain, "Tpot Contest No. 23"
The post must contain at least 5 lines/rows of words (explaining when, where how you took the picture). Provide the LINK to your post in the comments section to this post along with your Bitshares account. If you don't have a Bitshares account then register here. Include the following Banner in your post. The results will be announced after the Payout of this post. Tpot contests are held weekly. Which means that you have 7 days to participate in the contest. Whaleshares are both a token and community. They are based on Bitshares platform and works as cross-chain tokens. You can summon a whale for Upvote with your Whaleshares. Thank you for joining, it's a great honor to have you here..
HI @tpot here is again my entry , i am always excited to join your contest ... I really loved it..
here's my entry @tpot and i can't create bitshare. Click on the above link in the post, select account mode, copy the Password, click on the checkbox and process as per asked. That's it. congrats bff @princessliz and @songsongssaaly...!! OMG!!! Thank you.. I am not expecting this blessing. It was my first time to join in a contest and luckily I won..
Wow! Congrats @songsongssaaly! You made it! Tpot knows how to surprise you! Cheers!!! Congratulations! This post has been upvoted from the communal account, @minnowsupport, by ghayas from the Minnow Support Project. It's a witness project run by aggroed, ausbitbank, teamsteem, theprophet0, someguy123, neoxian, followbtcnews, and netuoso. The goal is to help Steemit grow by supporting Minnows. Please find us at the Peace, Abundance, and Liberty Network (PALnet) Discord Channel. It's a completely public and open space to all members of the Steemit community who voluntarily choose to be there. Great contest. Here is my entry. Hello @tpot here's my entry. This is my first time to join to your contest. I'm hoping you like my Greenery Photos. I can't create a bitshares account. Just click on the above link, select the account model, COPY the PASSWORD and follow the rest of procedure. Pretty simple. Congrats to all winners!!! Hello @tpot!. This is my entry for greenery. I hope you like it. 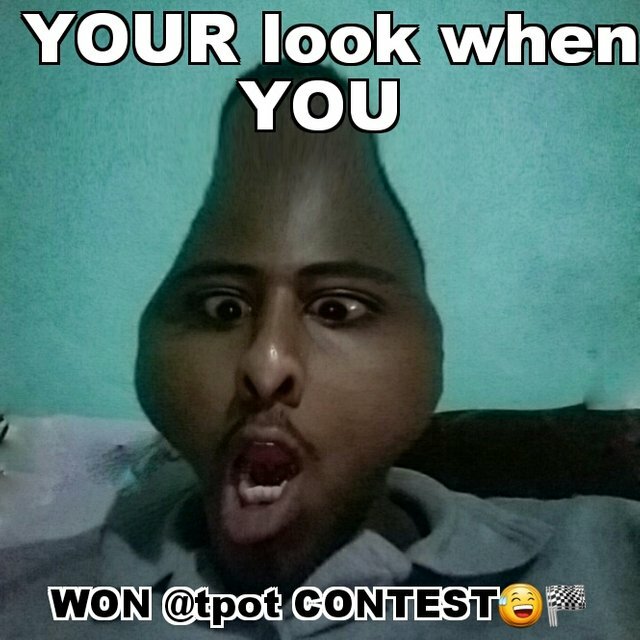 Wow thanks @tpot , can i still join the future contest? Congratulation to the winners....your memes are amazing and I am sorry for not visiting your respective pages due to lack of time..Mat be next time. I really thank @tpot for this weekly contest, it's a big sacrifice from you thanks a lot! Thank you @bmotives! Congrats as well.. Here's my entry @tpot. This my first time joining a contest. I am so excited! This contest has been placed in the Steemgigs Contest Channel which has over 5000 members and will be presented in a compilation post on the weekly Talk with Terry Show every Sunday 12:00 AM Manila Time. I will endeavor to join all contests left there or at least make a small upvote and add on the compilation post. Thank you, our contests are nature friendly and always fun oriented.. We think that contests as such should help people encourage to visit outdoor and grow some greenery, that's the least we can do. Thanks for sharing the contest, appreciate it. Hi @tpot. Here's my submission link https://steemit.com/contest/@globalgreg/greenery-in-sunny-california-the-republic-of-the-rough-and-ready-and-a-wayward-tortoise-greenery-tpot-contest-no-23 Bitshare account: random-rhino . Be well! Hello @tpot! here is my entry. I am super stoked this contest is back, I was really disappointed when I missed the first greenery. Here is my Entry to this weeks contest. Totally had fun shooting this. Great Job you guys! lol We are trying to take the contests to next level. So make sure that our Discord notifications are enabled for you. Contests are announced every week. lol.. The idea was thoroughly explained in the whitepaper that can be found here. @tpot thank you for reminding us of how important nature is.